To watch a webinar, you can find the registration links on our Neurosequential Model in Caregiving page OR join our mailing list. Our email list will receive the registration links for the webinar each month. Members will receive their registration link first, then non-members and individuals. You have two options to watch this: live webinar or archived webinar video. To join our list, contact Julia Drake at jdrake@azcouncil.com indicating you want to be added to the Neurosequential Model in Caregiving email list. To get access to an archived webinar video, contact Julia at jdrake@azcouncil.com or visit the Neurosequential Model in Caregiving page and follow the corresponding registration link for the archived webinar that you want to watch. To register, follow the link sent to our email list OR visit our Neurosequential Model in Caregiving page . You must register for each webinar you want to watch, so you will need to register each month if you want to watch the entire live series. To be added to our email list, contact Julia at jdrake@azcouncil.com. Are the webinars all the same or is each one different? Each monthly webinar will have a unique topic throughout 2017. How do I watch archived webinar videos?/Can I watch a webinar at another time outside of the live webinar schedule? We are looking for host sites, generally foster care licensing or behavioral health agencies. You can host the webinars live or from the archive. What are the responsibilities of host sites? Host sites will be asked to recruit foster parents, kinship families, post adoptive families, and staff to attend the webinars and may choose to have a facilitated discussion after each webinar with attendees. 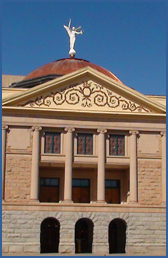 Host sites will be allowed to register for the webinars before other individuals register and will have responsibility for tracking those who attend at their site and sharing that information with the Arizona Council staff. We want to ensure that host sites are available throughout the state so that foster parents can have easy access to the webinars. You do not have to agree to be available for all webinar dates to be a host site. Host sites may also choose to view archived videos with foster, kinship, and post-adoptive families as well. If this occurs, the host site will be responsible for tracking those who attend and sharing that information with the Arizona Council staff. All attendees watching live videos and those in the library will be asked to participate in a series of evaluations over the course of the three-year project. We will offer a raffle prize opportunity for those who complete the evaluation. If you would like to be a host site, please contact Julia at jdrake@azcouncil.com or 602-252-9363. No CEUs will be provided at this time. Host sites may provide a certificate of attendance with training hours. If you watched the webinar individually and need a certificate of attendance, contact Julia Drake at jdrake@azcouncil.com or by phone 602-252-9363. What if I’m a foster/adoptive/kinship parent who wants to be featured in one of the webinars? If you’re interested in working with Dr. Perry during a live webinar, contact your licensing agency. They will be able to provide you with a referral form. Complete the referral form and send it back to your licensing agency OR to Julia at jdrake@azcouncil.com. Once you’ve returned your completed referral form, Julia will give you a call and schedule an interview. You’ll be interviewed by Arizona Council staff and have your information forwarded to Dr. Perry. He will then choose if, and when you will work with him during a webinar. We will let you know 2-3 weeks ahead of time if you are chosen for an upcoming webinar. If you want more information about the Neurosequential Model in Caregiving webinar training series, call or email Julia Drake at 602-252-9363 or jdrake@azcouncil.com.